Hi, I’m Catherine. 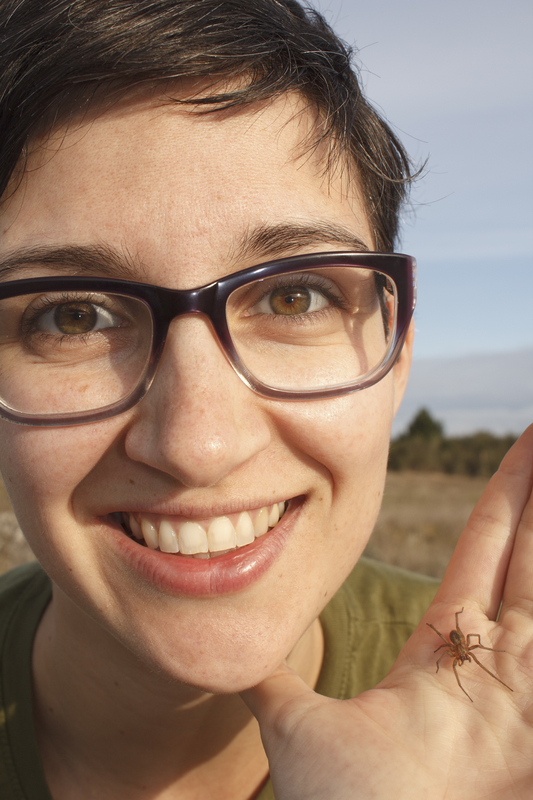 I’m a behavioural ecologist and my research is currently focused on sexual communication in spiders. I recently completed my MSc at Simon Fraser University, and in the fall I will be starting my PhD at the University of Toronto. I am a spider fanatic, and I blog about them over at SpiderBytes. I’m here to share some of my thoughts about undergraduate education from the perspective of a current TA (and relatively recent undergrad), and about graduate education and research as a (more or less) current grad student. I am passionate about teaching but I have pretty much no training, and I love research but I am still a very “young” (career-wise) scientist. I hope very much to be able to engage with the wide readership of this blog in discussing new ideas and hearing diverse perspectives about academia. Please comment! I want to hear from you. I didn’t always want to be a biologist. My undergraduate degree is (officially) a BSc in mathematics from Queen’s University, but I actually spent about half of my time taking a combination of pure and applied math courses, and the other half studying mechanical engineering. I then spent a couple of years taking undergraduate biology courses (mostly in ecology and evolution) at SFU before starting my MSc in an animal communication lab. Altogether I’ve spent about 10 years so far as a university student. My ultimate goal (I think) is to become a professor, but of course that may change. When I am not doing spider research, I spend my time knitting, reading novels (sci-fi, fantasy, regular fiction… pretty much anything! ), and wandering around outside looking for spiders and other arthropods with my partner Sean.